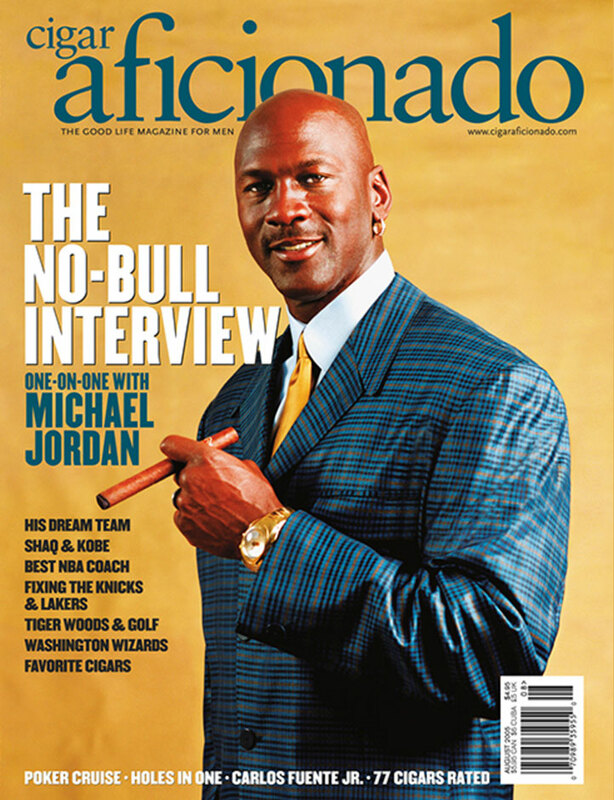 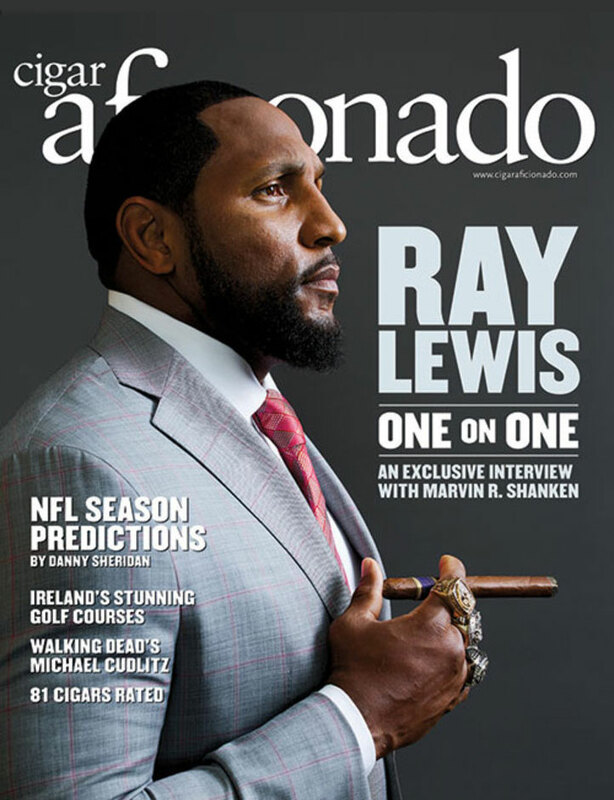 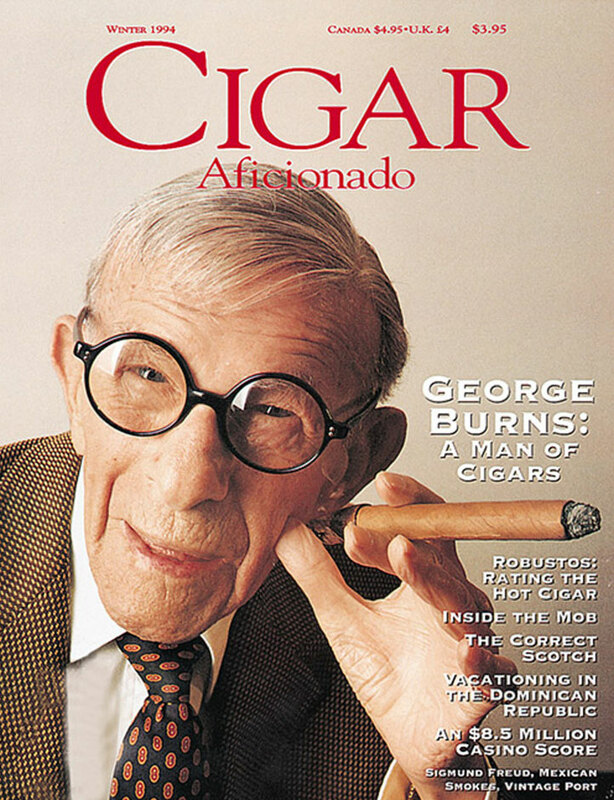 We're honoring the magazine's 25th anniversary not with something silver, but instead through a special contest with a grand prize: a mystery box of well-aged cigars straight from the personal collection of Marvin R. Shanken, editor and publisher of Cigar Aficionado. 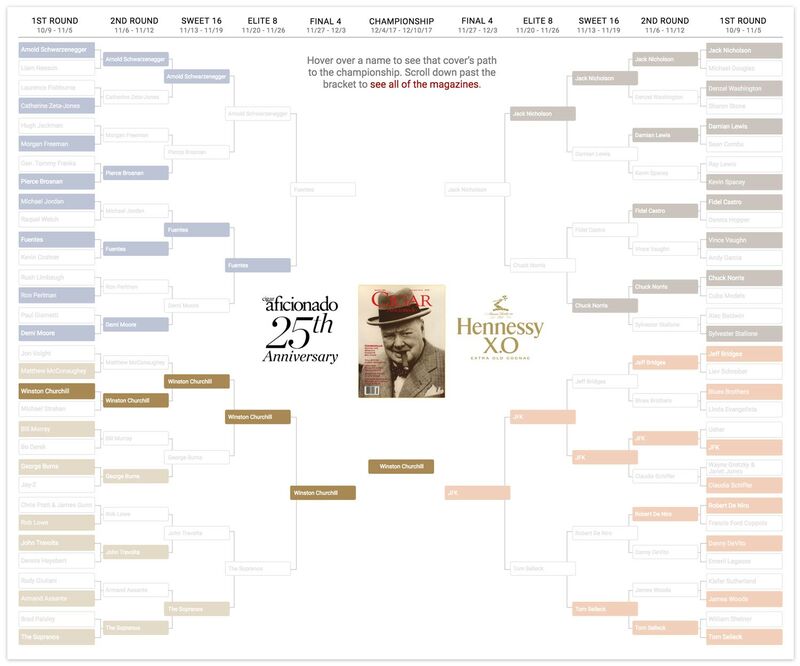 Here's how it works: The March Madness-style tournament bracket below revisits 64 of our most memorable celebrity covers. 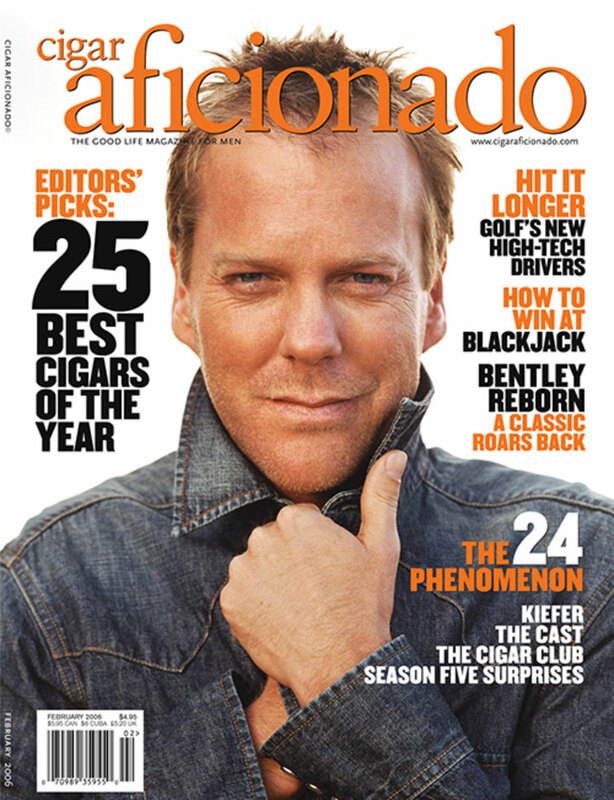 Between now and December 10, the covers will face off against one another in a series of six rounds. 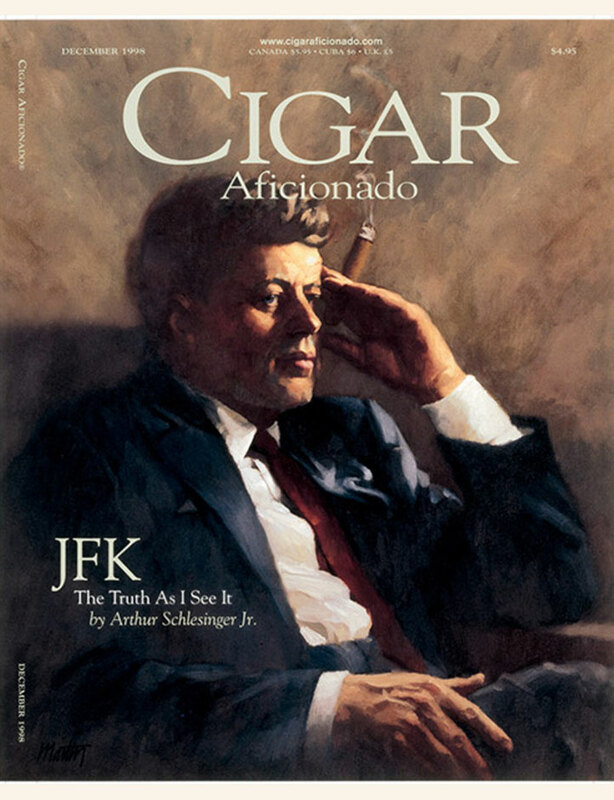 In each round, readers visit this page to vote on the cover that they prefer, with the winning cover in each matchup advancing to the next round. 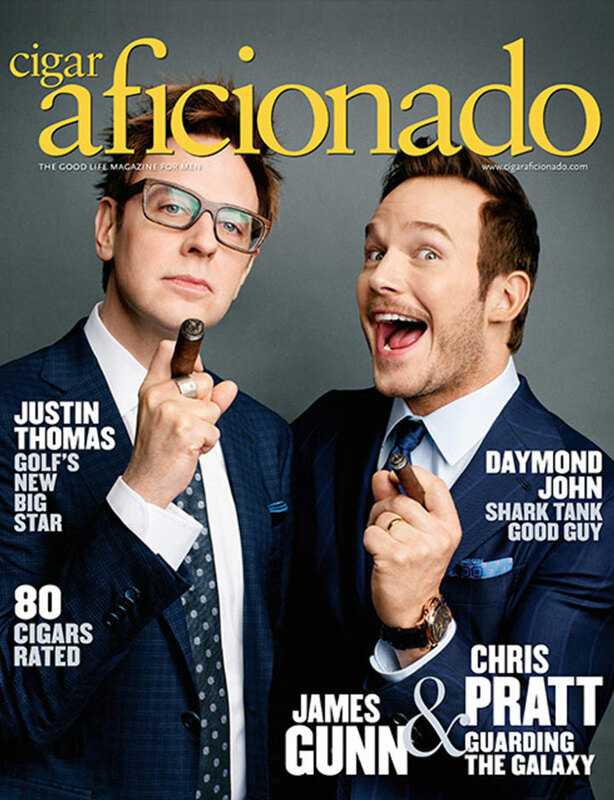 In the end, one cover will rule them all and be crowned the champion. 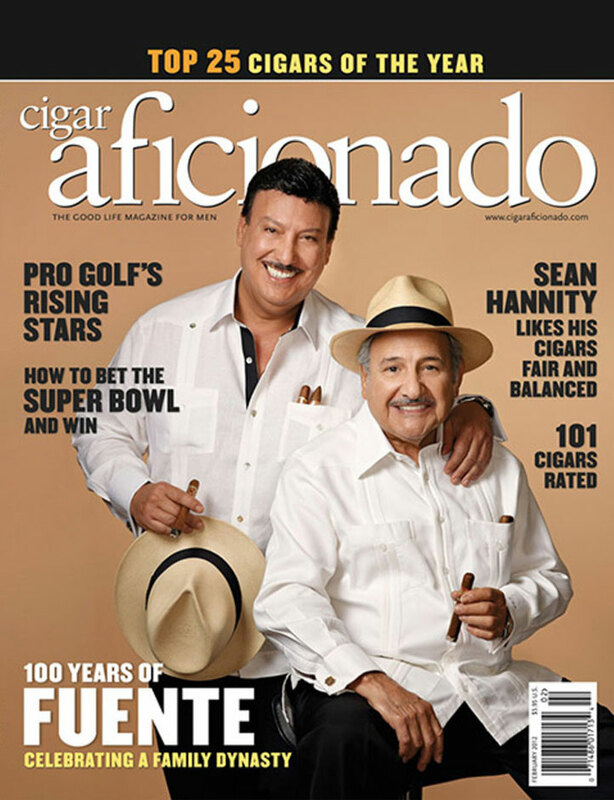 So how do you get in on the action for a chance to win the box of vintage cigars? 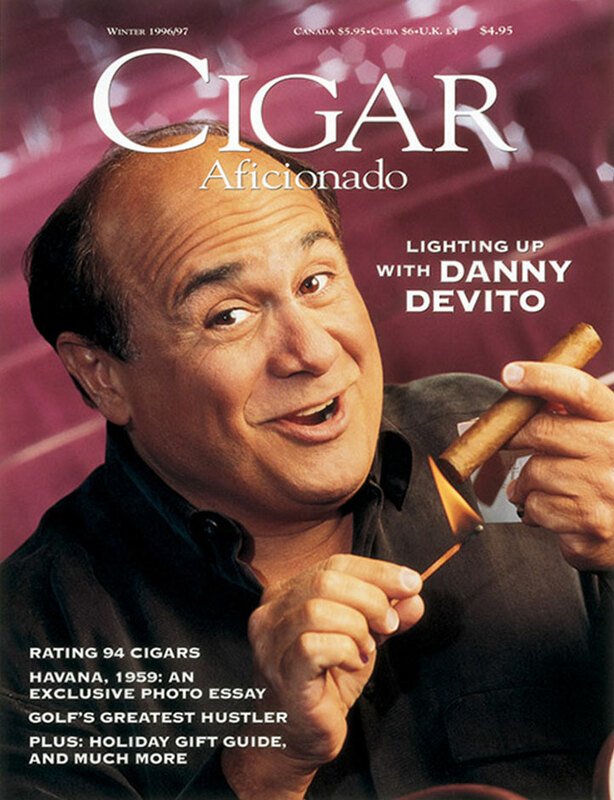 You vote! 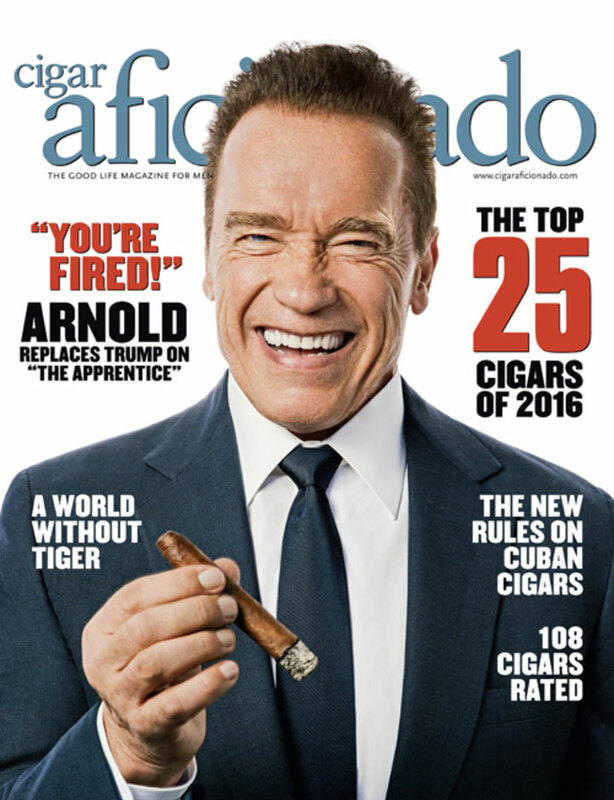 And vote often! 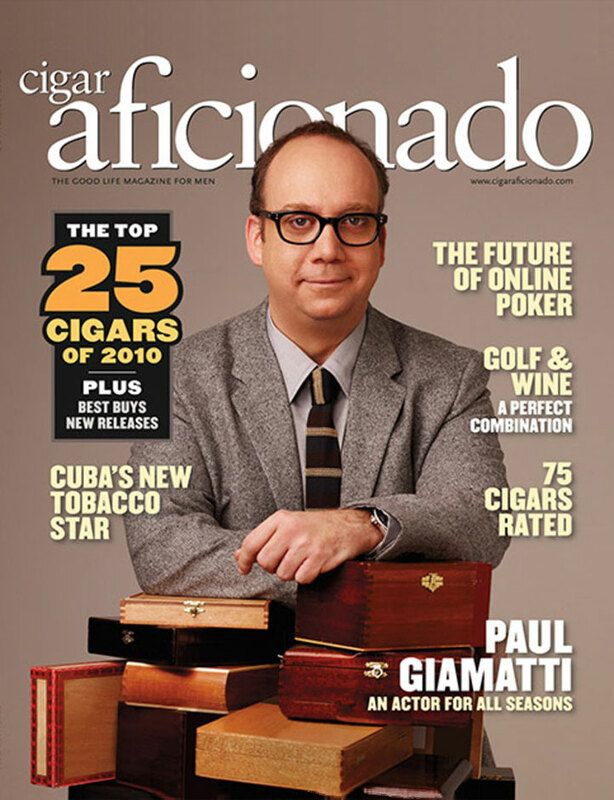 Each round that you participate in boosts your odds of winning the grand prize. 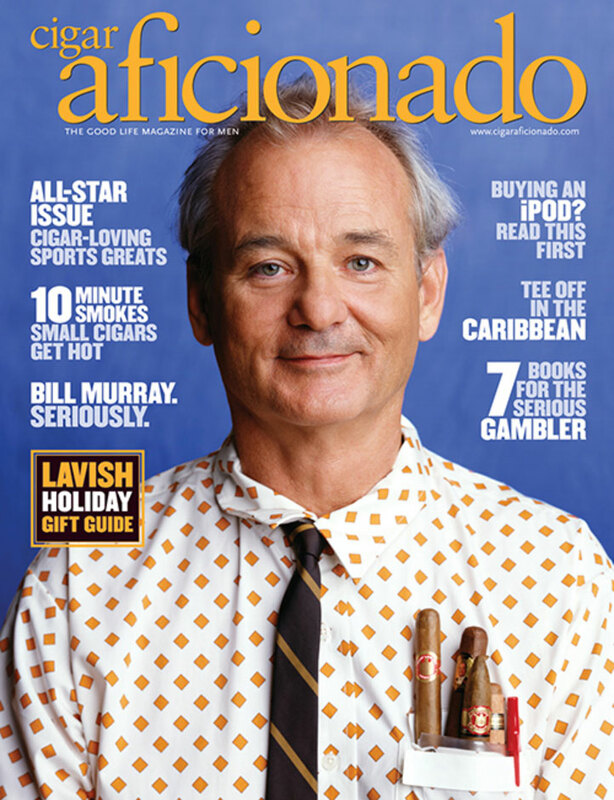 The bracket runs from October 9 until December 10. 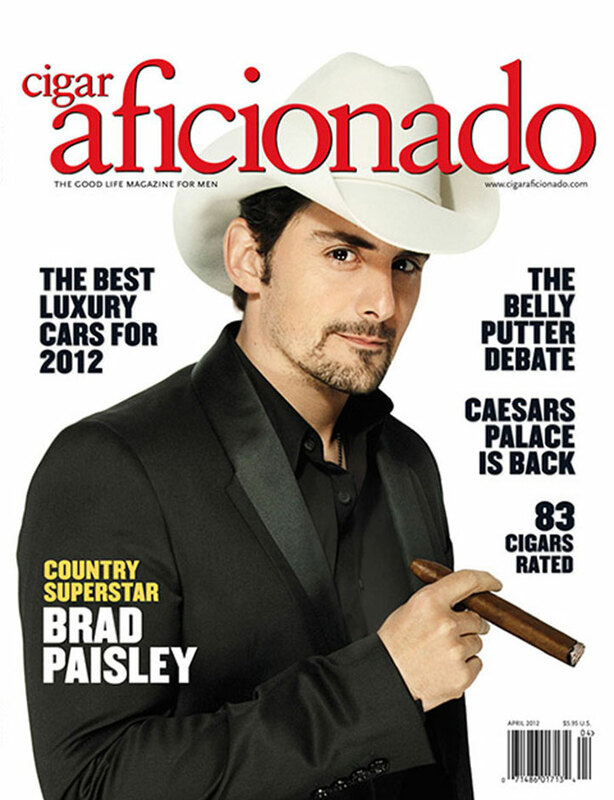 On December 11, the winner will be revealed. 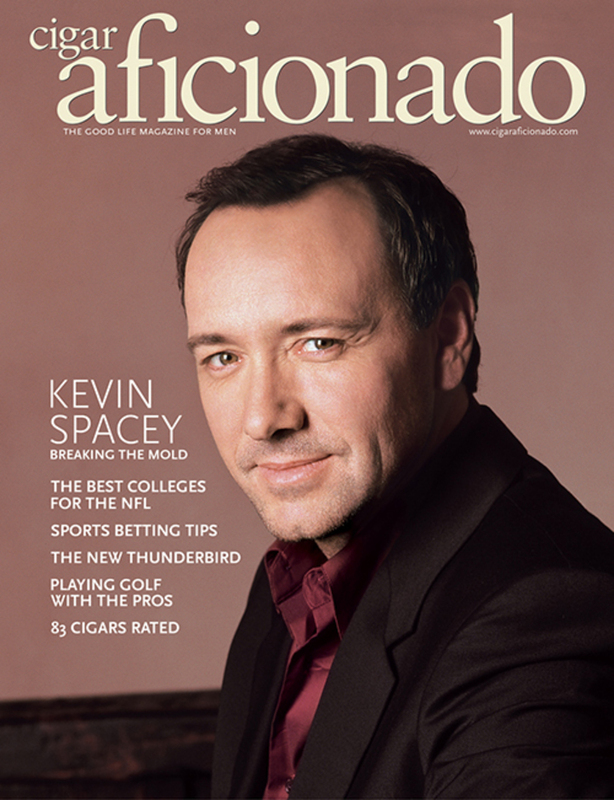 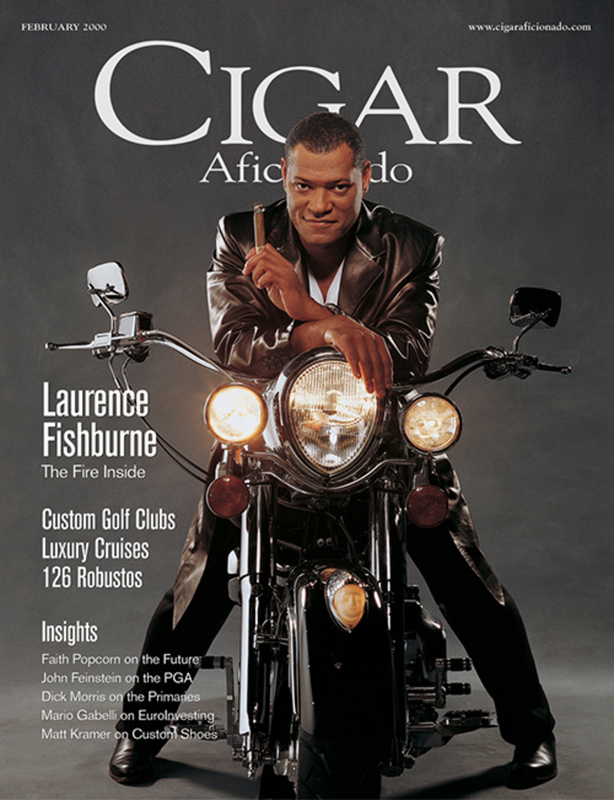 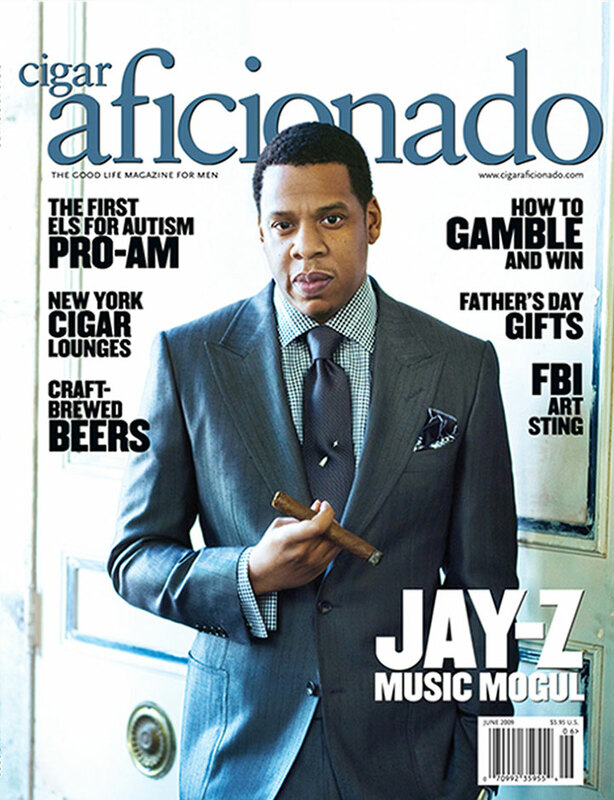 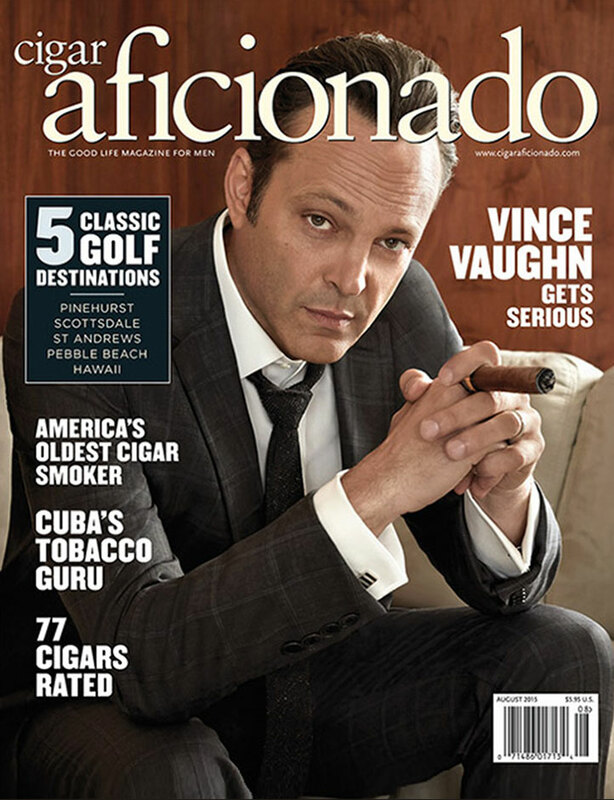 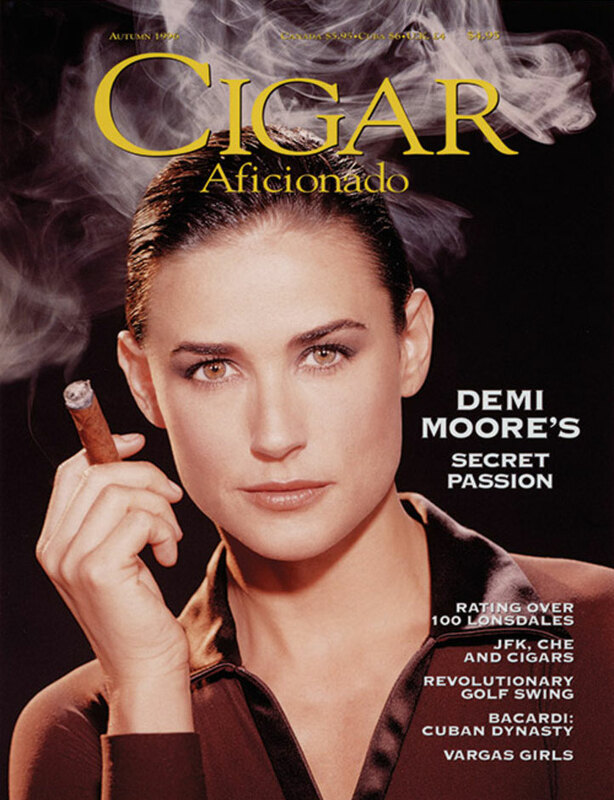 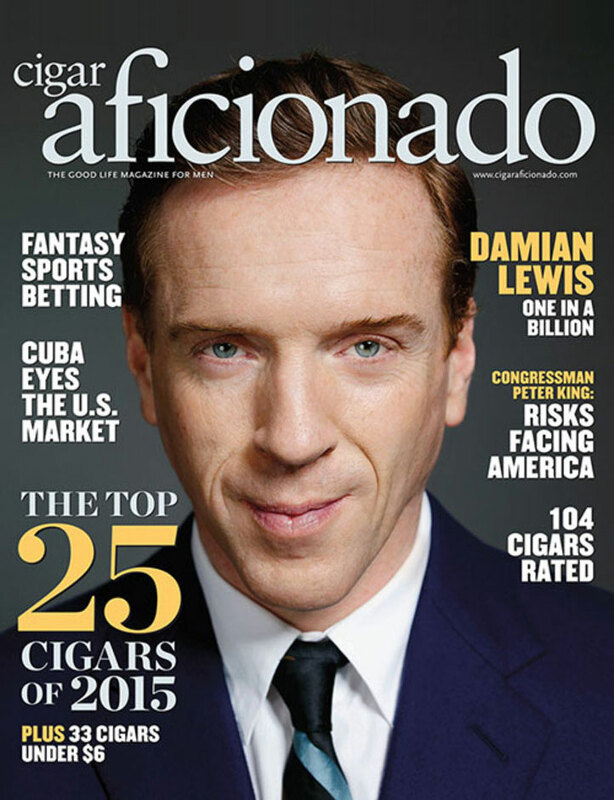 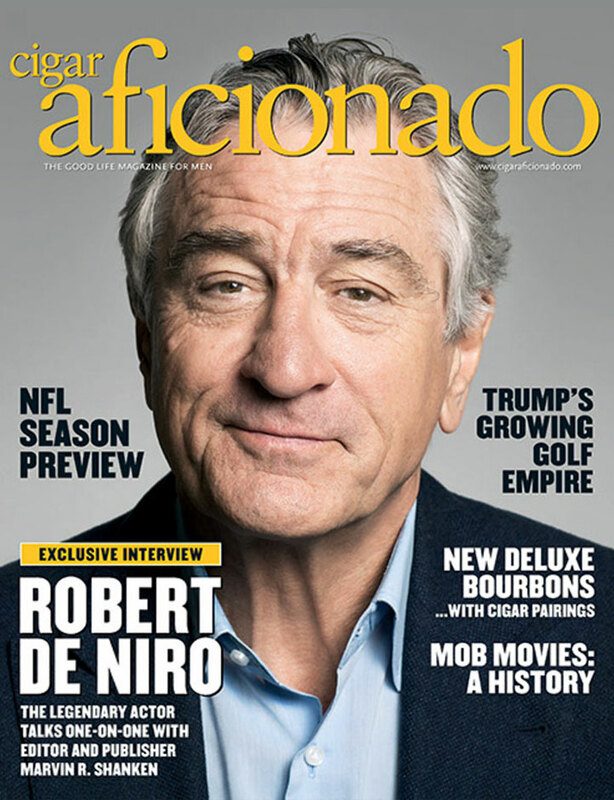 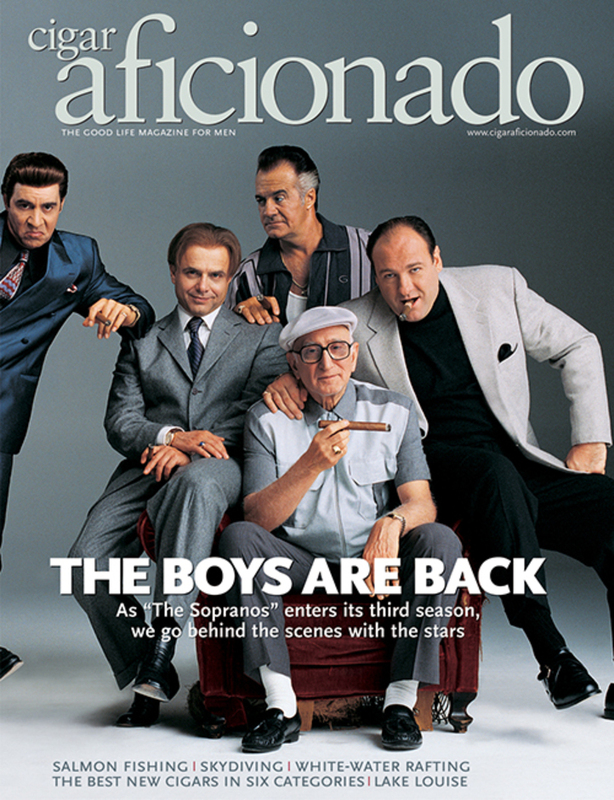 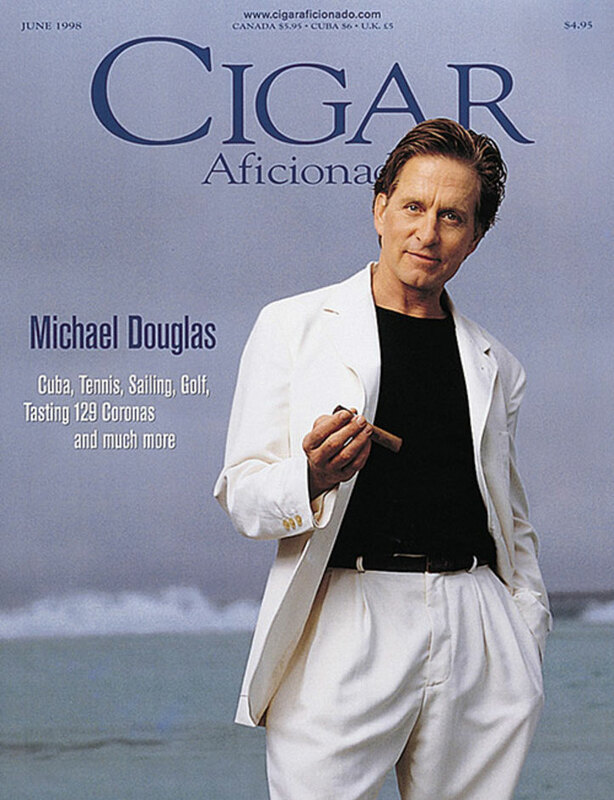 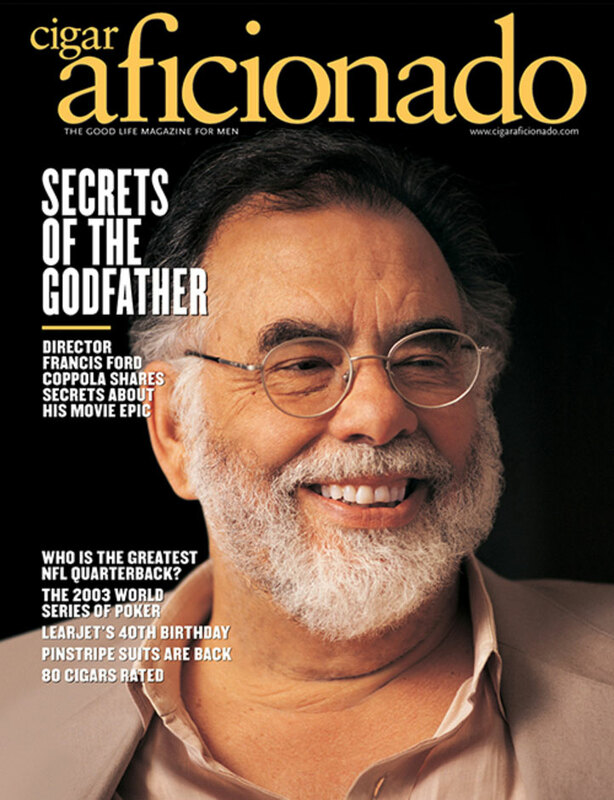 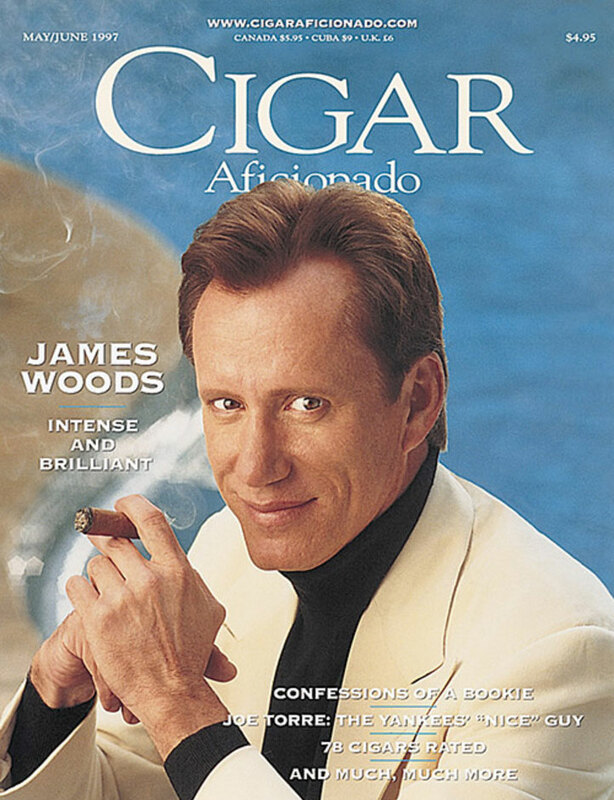 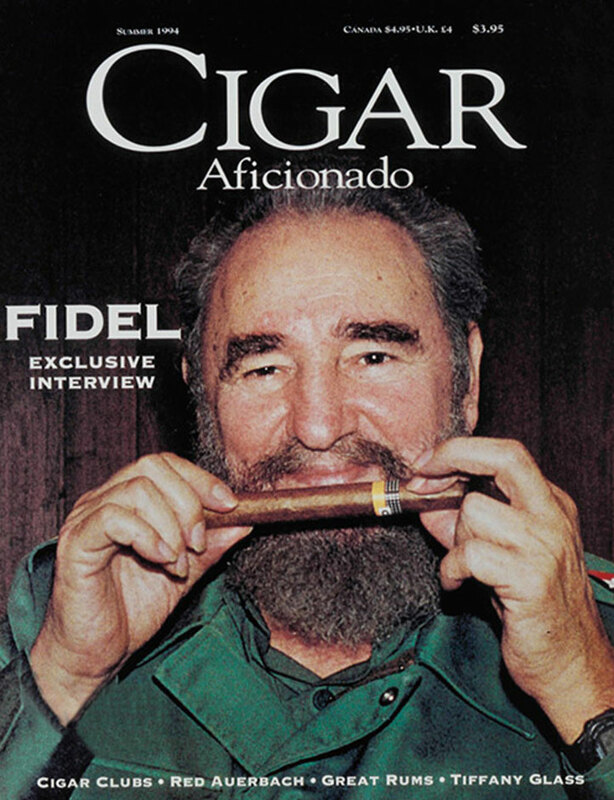 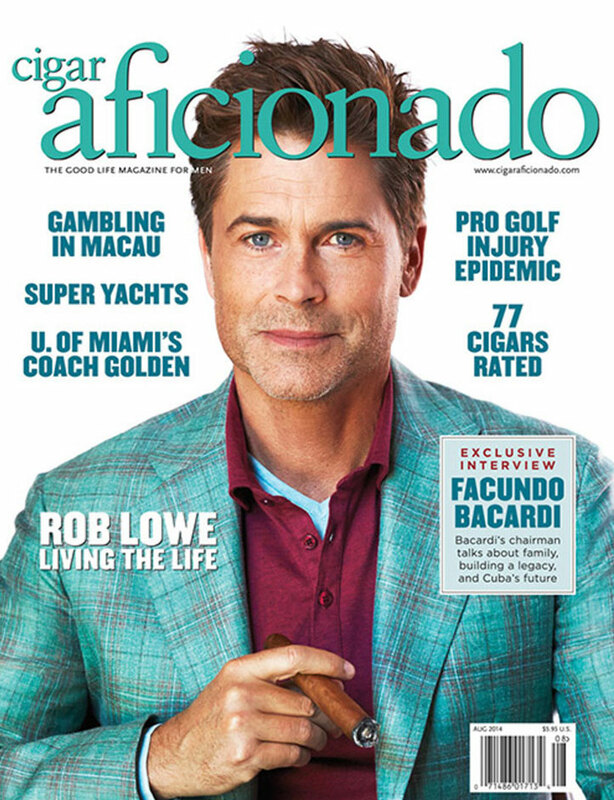 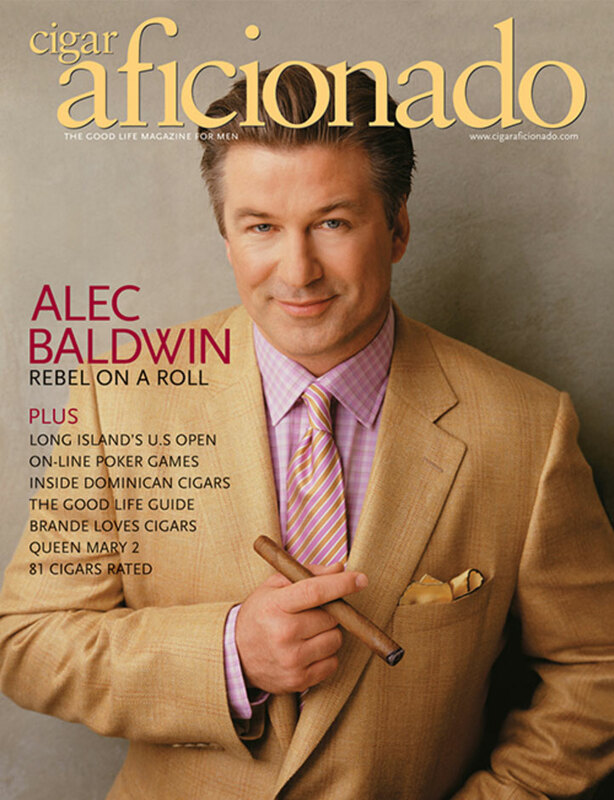 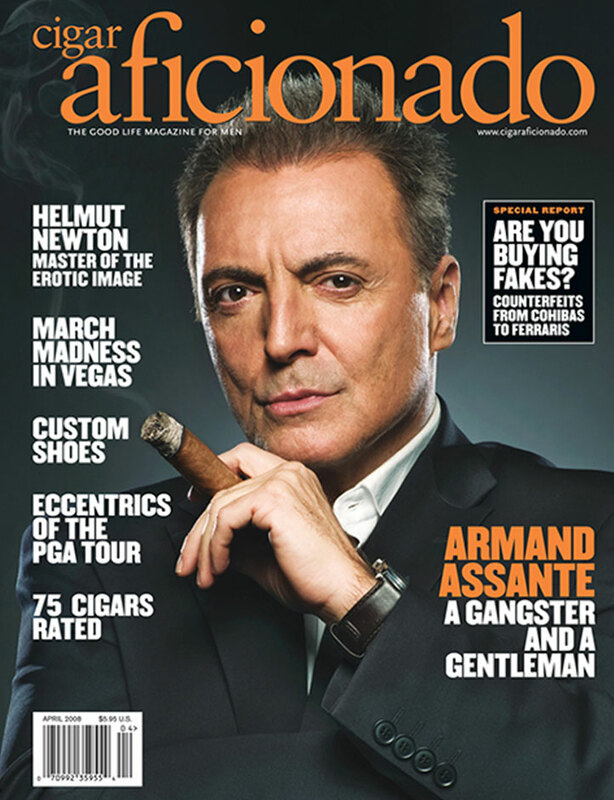 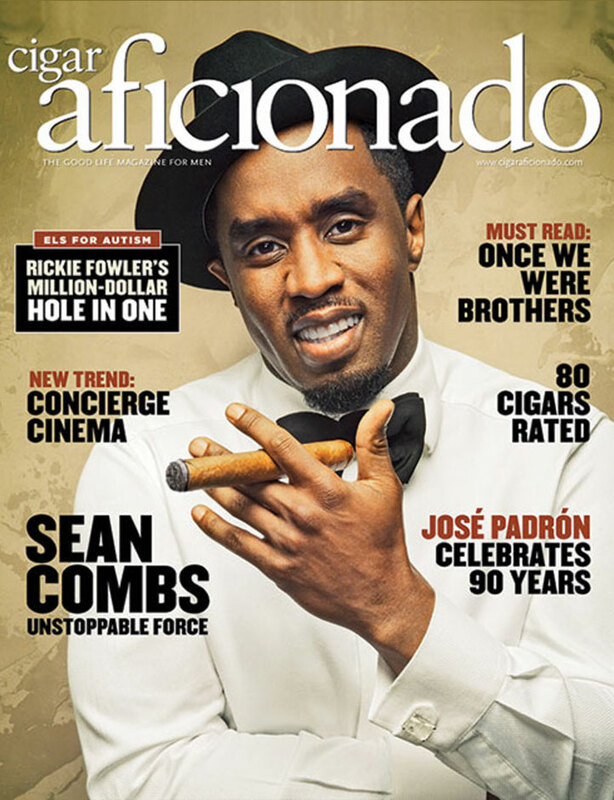 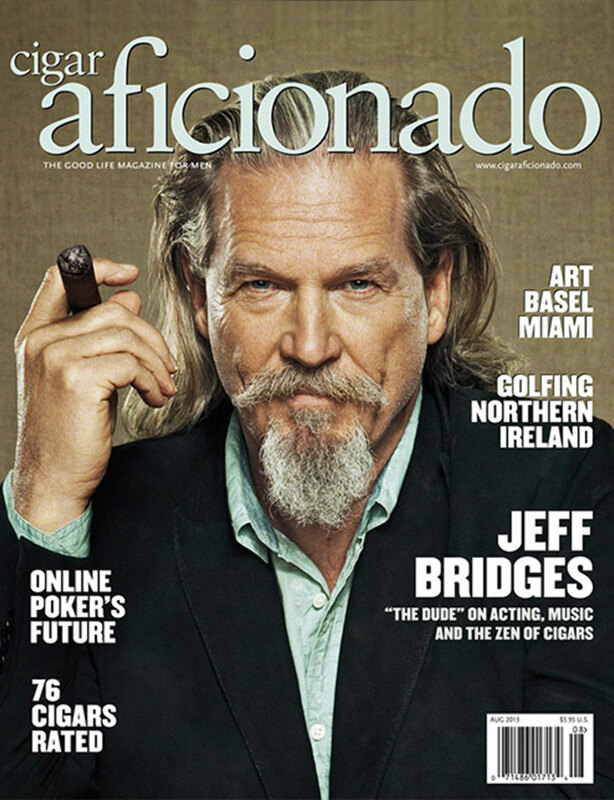 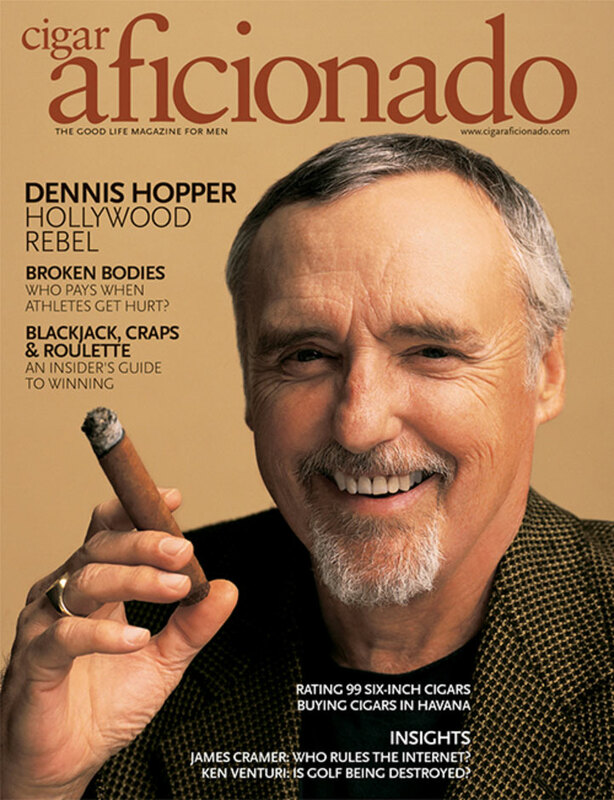 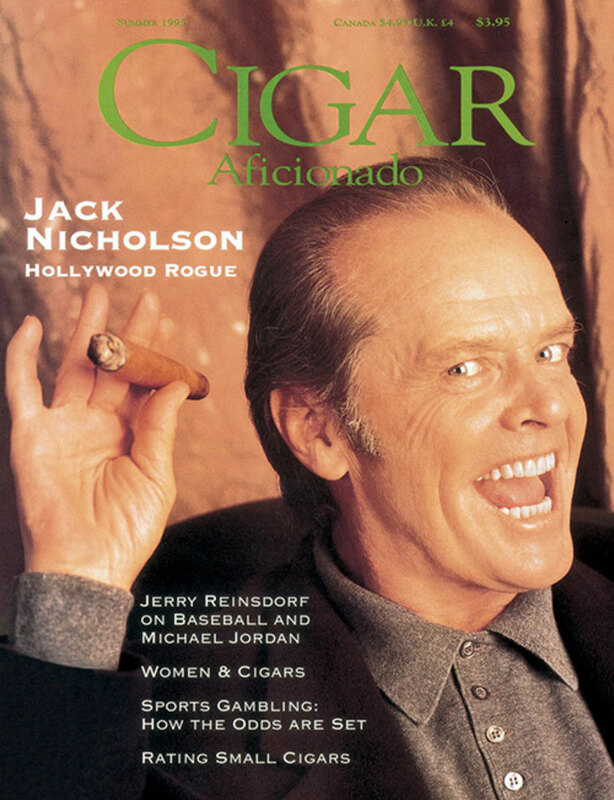 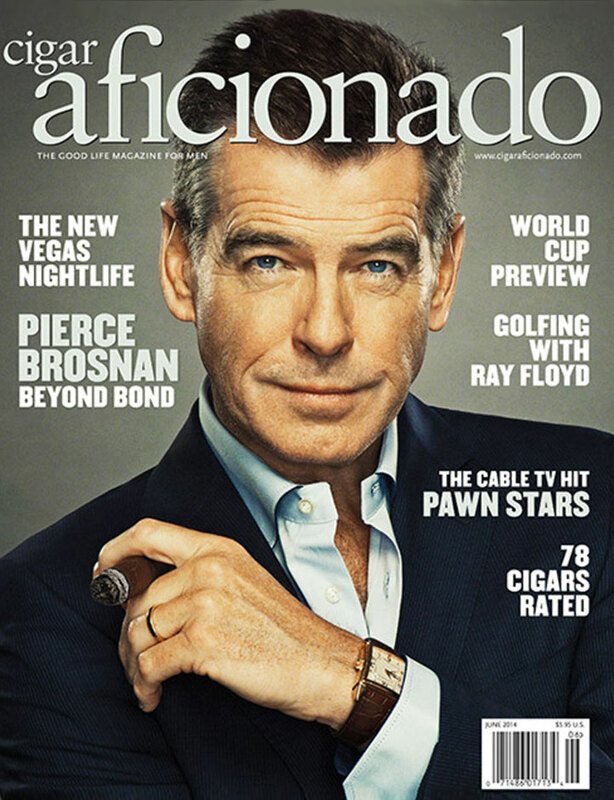 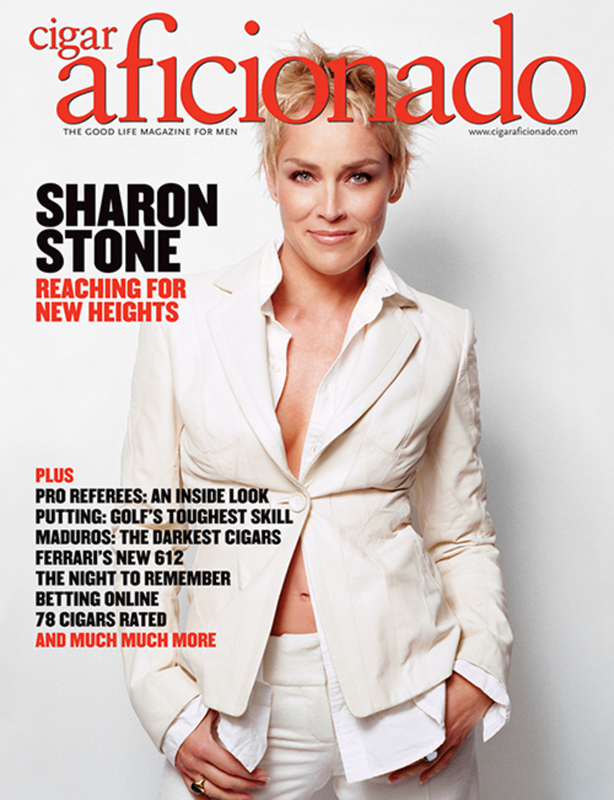 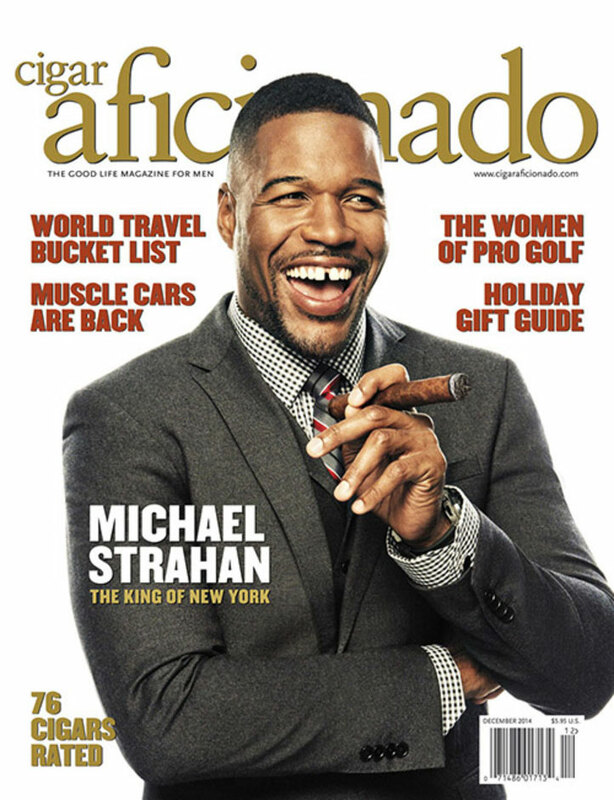 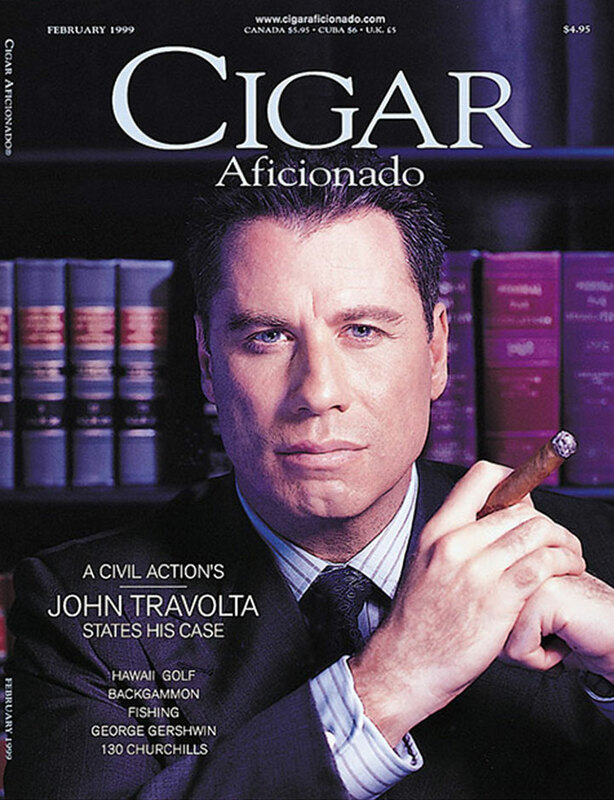 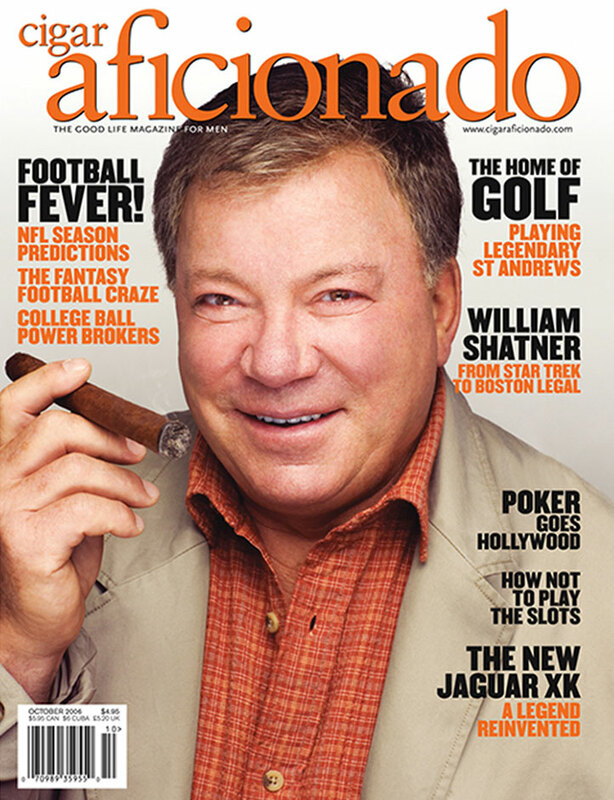 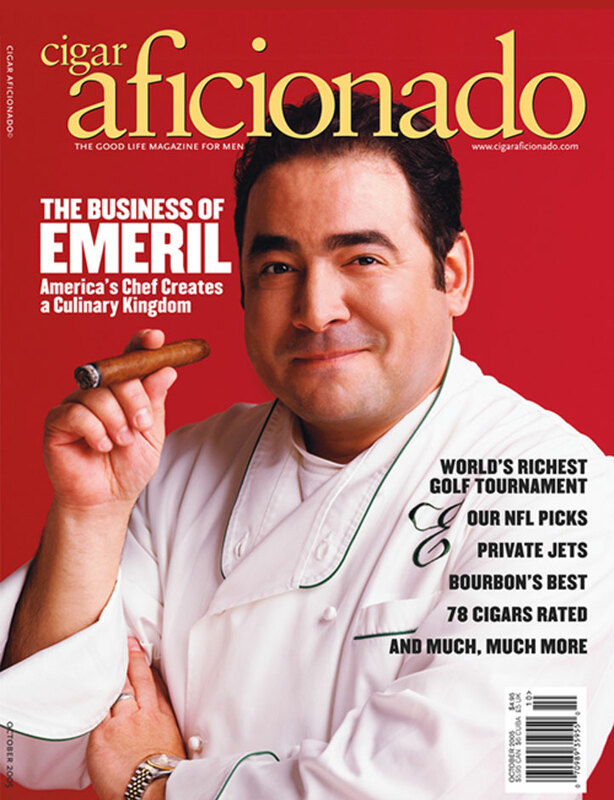 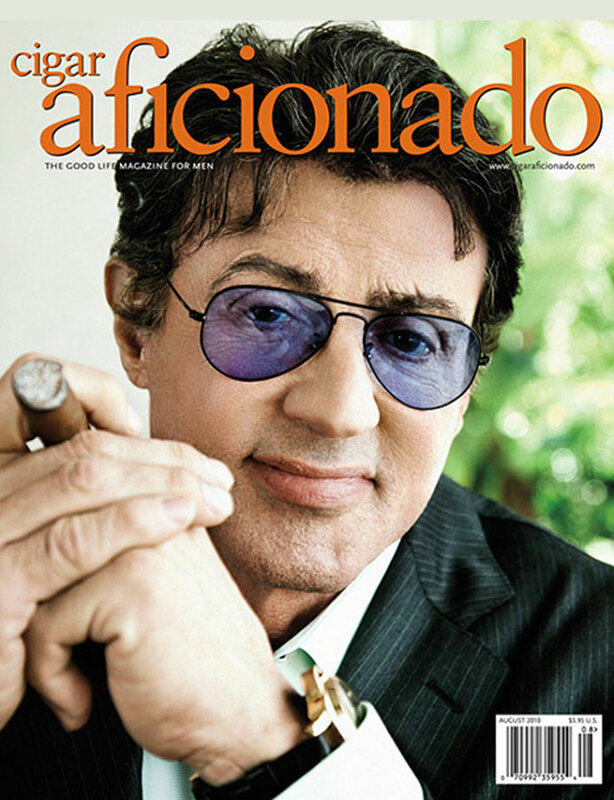 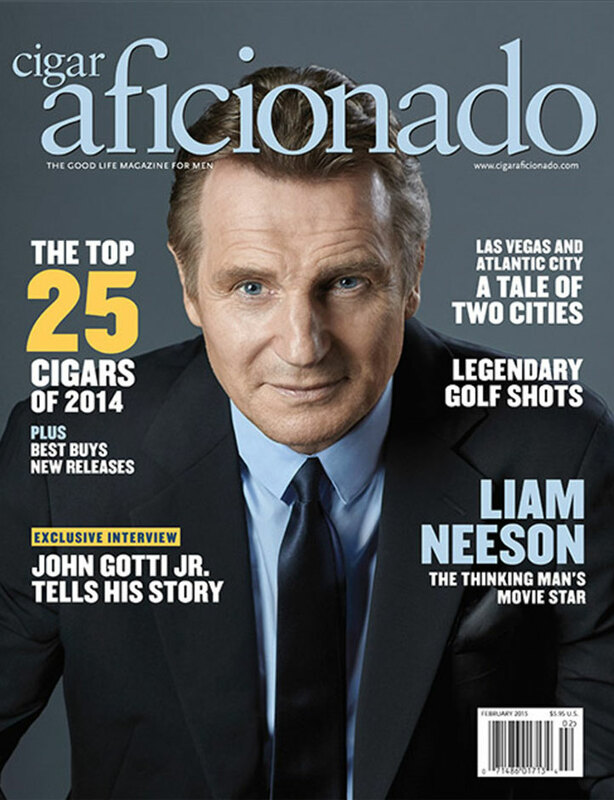 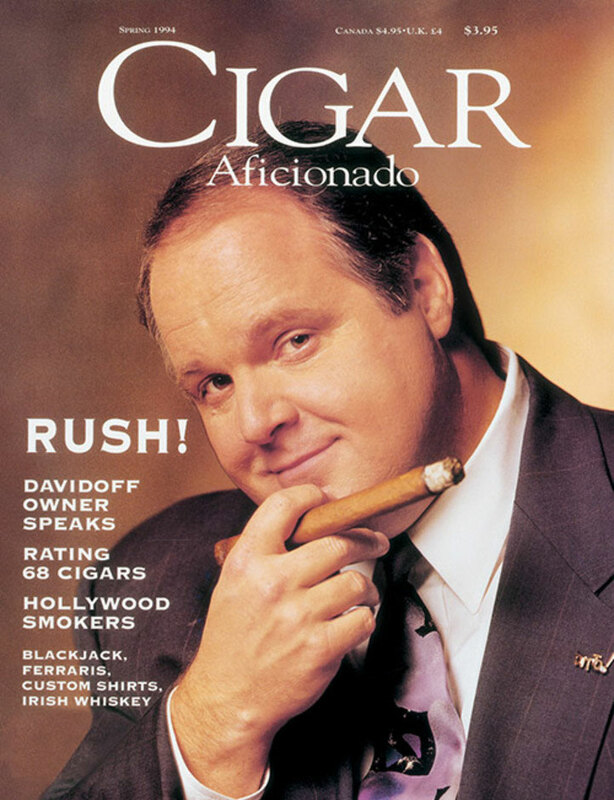 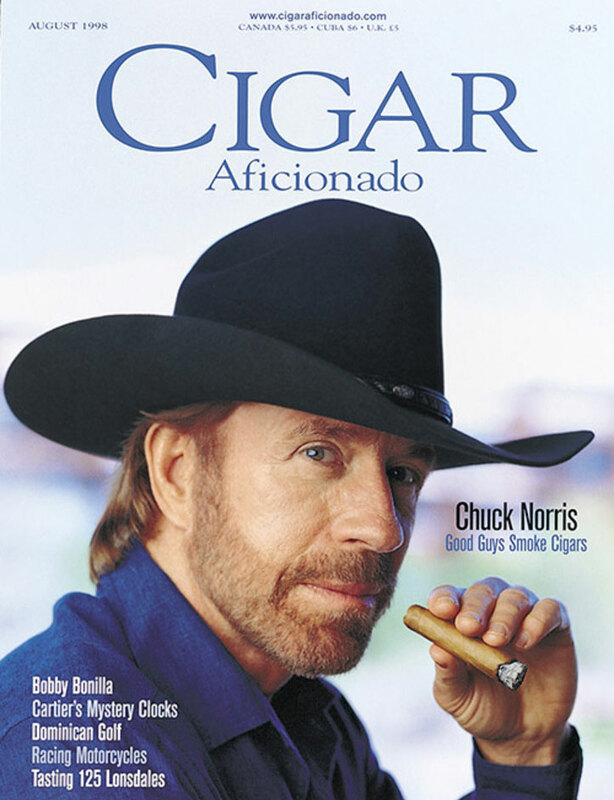 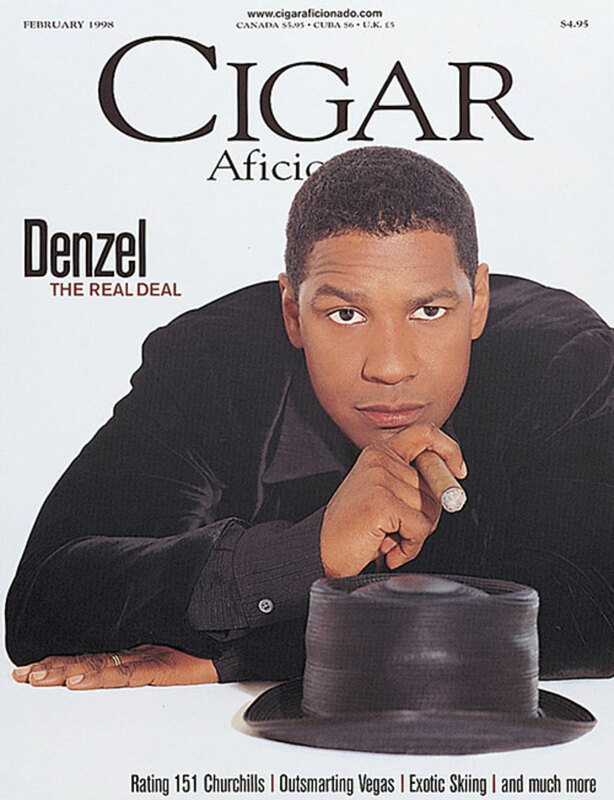 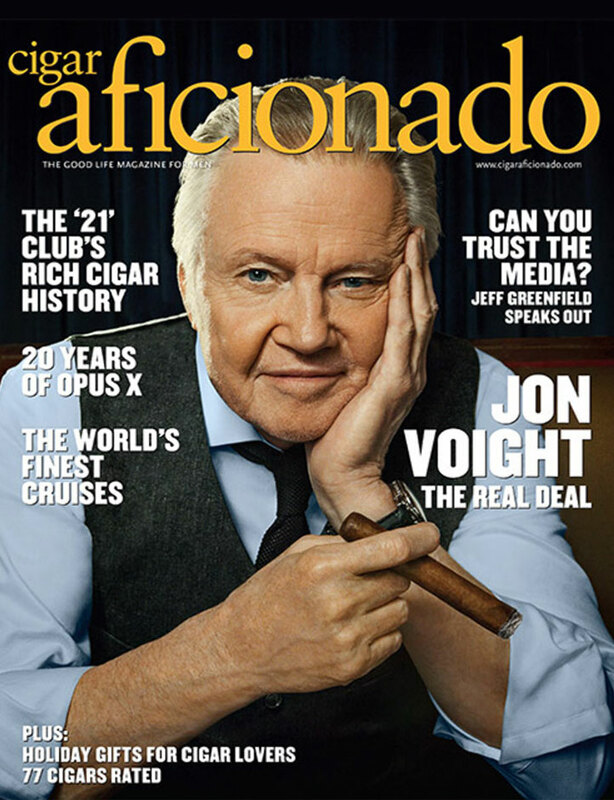 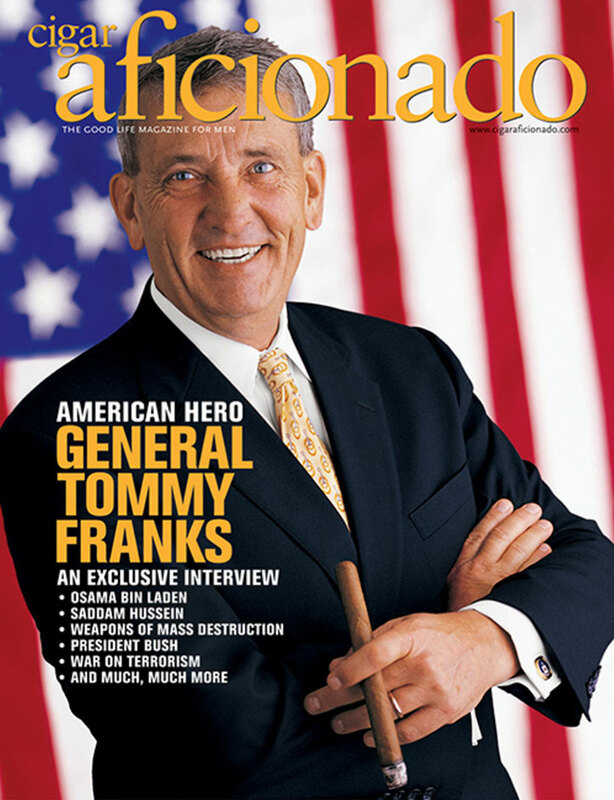 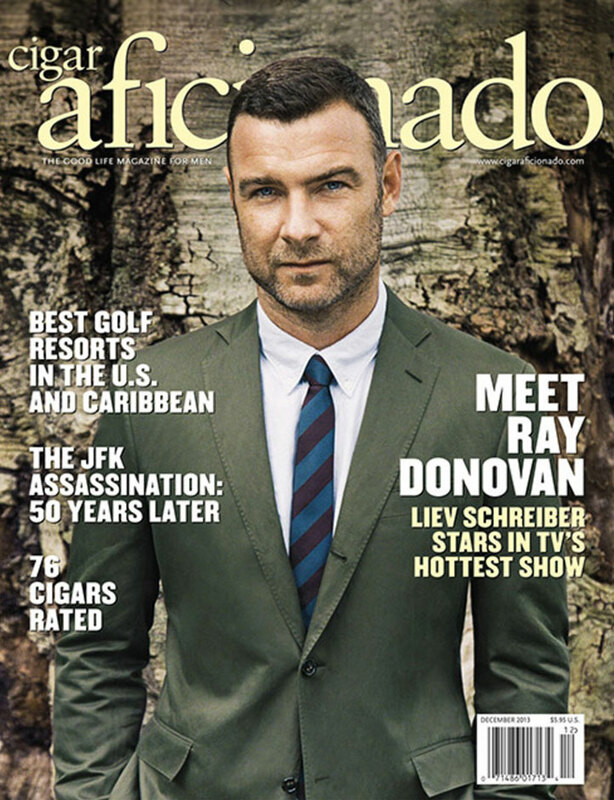 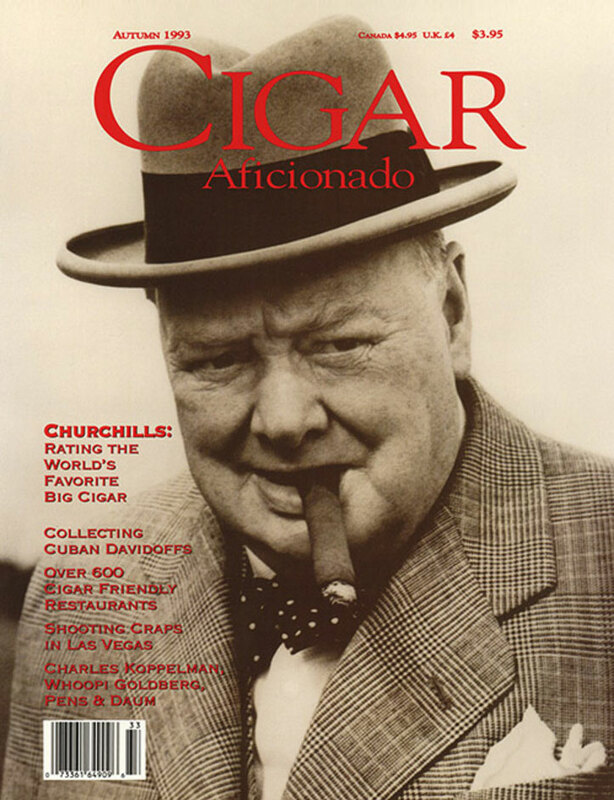 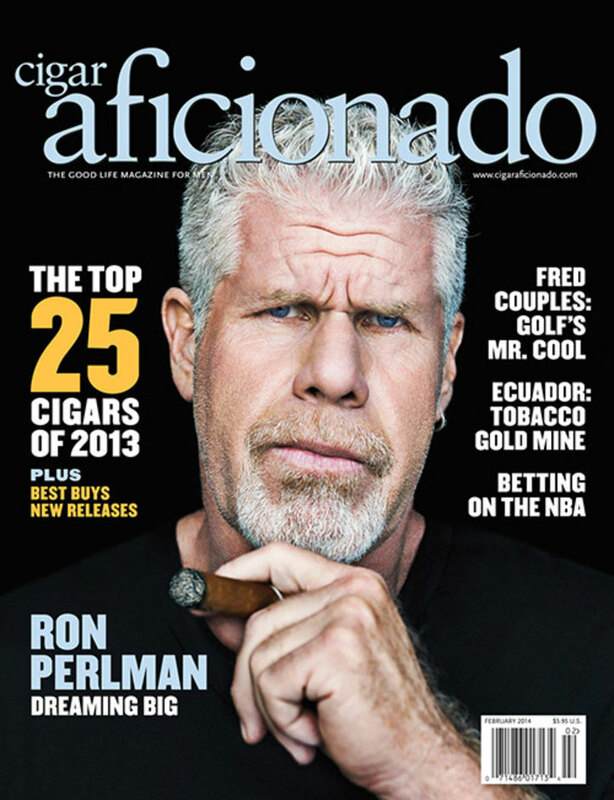 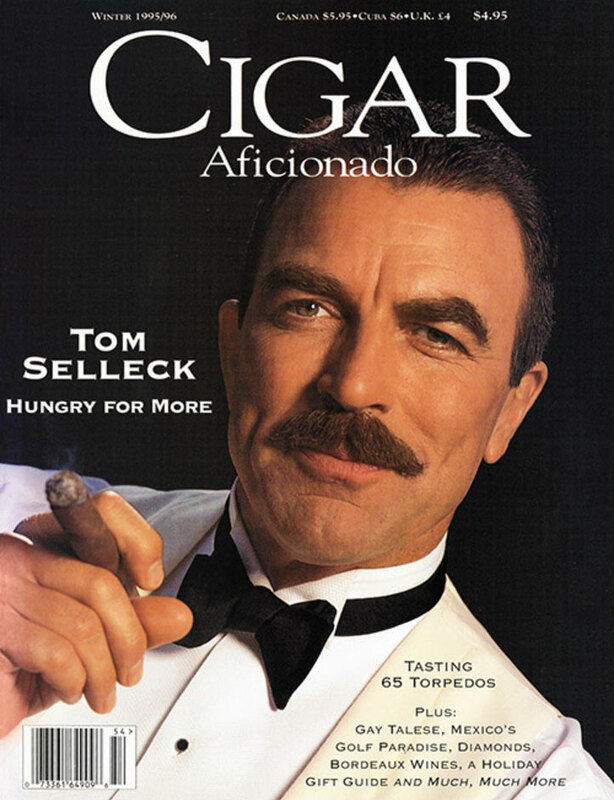 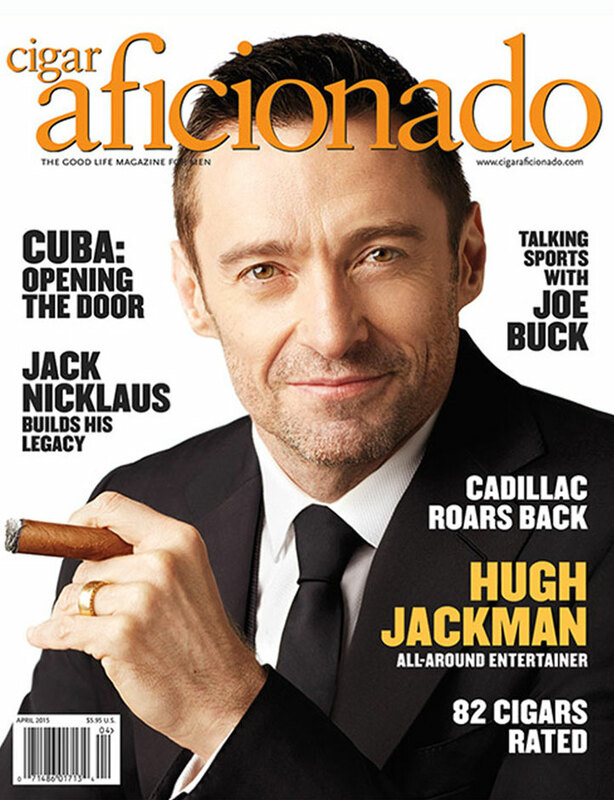 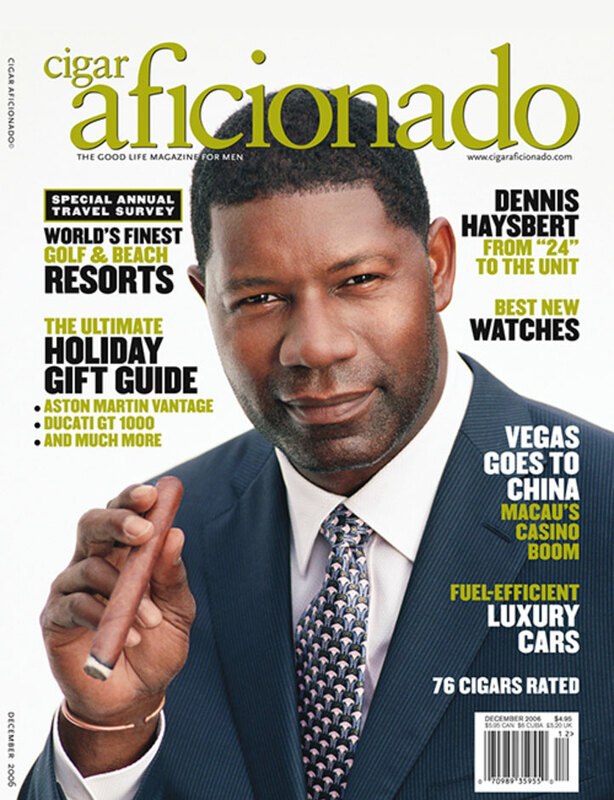 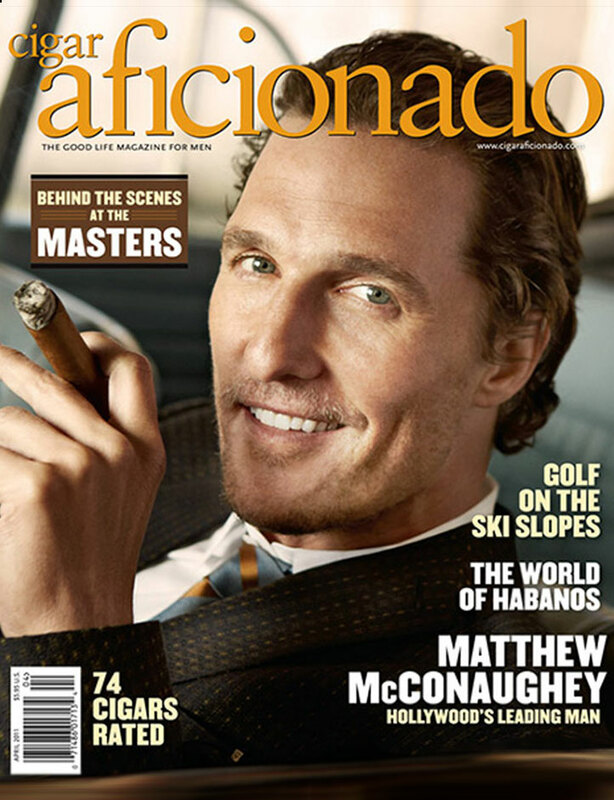 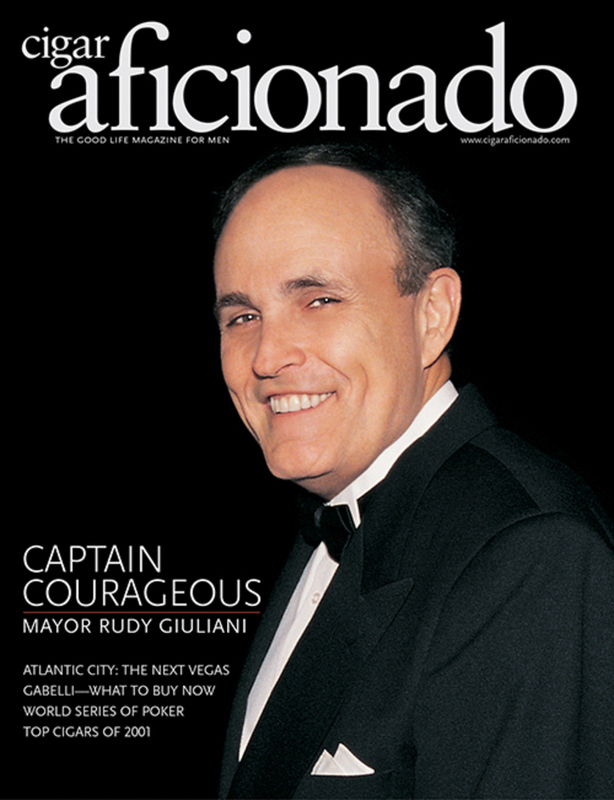 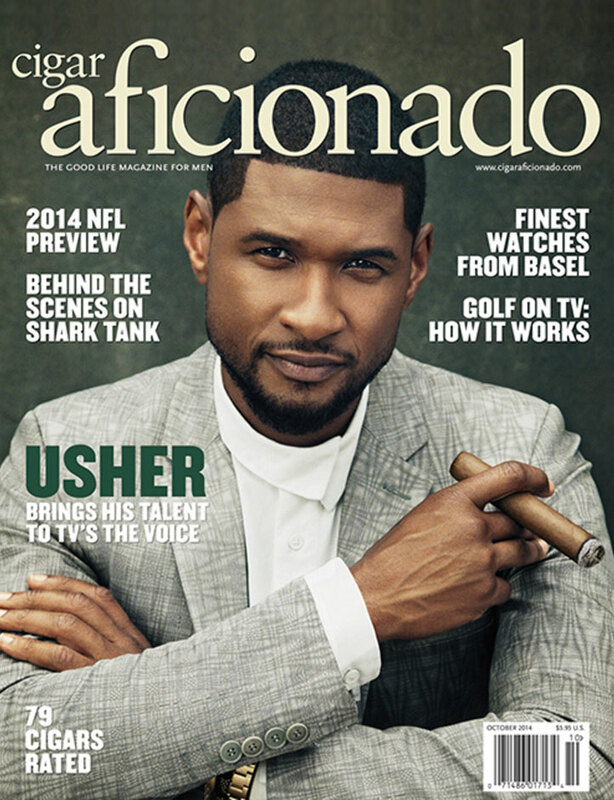 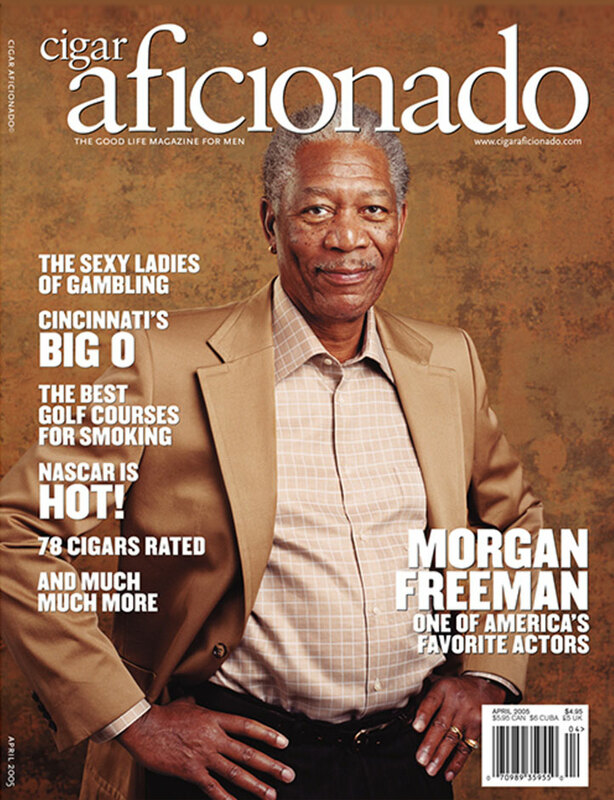 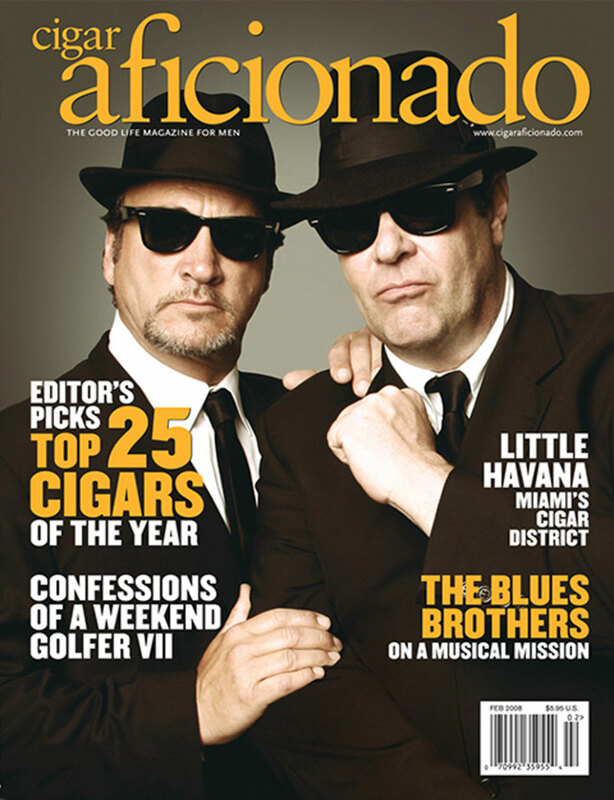 Cigar Aficionado's 25th Anniversary Cover Challenge The Sopranos Brad Paisley Armand Assante Rudy Giuliani Dennis Haysbert John Travolta Rob Lowe Chris Pratt & James Gunn Jay-Z George Burns Bo Derek Bill Murray Michael Strahan Winston Churchill Matthew McConaughey Jon Voight Demi Moore Paul Giamatti Ron Perlman Rush Limbaugh Kevin Costner Fuentes Raquel Welch Michael Jordan Pierce Brosnan Gen. Tommy Franks Morgan Freeman Hugh Jackman Catherine Zeta-Jones Laurence Fishburne Liam Neeson Arnold Schwarzenegger Tom Selleck William Shatner James Woods Kiefer Sutherland Emeril Lagasse Danny DeVito Francis Ford Coppola Robert De Niro Claudia Schiffer Wayne Gretzky & Janet Jones JFK Usher Linda Evangelista Blues Brothers Liev Schreiber Jeff Bridges Sylvester Stallone Alec Baldwin Cuba Models Chuck Norris Andy Garcia Vince Vaughn Dennis Hopper Fidel Castro Kevin Spacey Ray Lewis Sean Combs Damian Lewis Sharon Stone Denzel Washington Michael Douglas Jack Nicholson The Sopranos Armand Assante John Travolta Rob Lowe George Burns Bill Murray Winston Churchill Matthew McConaughey Demi Moore Ron Perlman Fuentes Michael Jordan Pierce Brosnan Morgan Freeman Catherine Zeta-Jones Arnold Schwarzenegger Tom Selleck James Woods Danny DeVito Robert De Niro Claudia Schiffer JFK Blues Brothers Jeff Bridges Sylvester Stallone Chuck Norris Vince Vaughn Fidel Castro Kevin Spacey Damian Lewis Denzel Washington Jack Nicholson The Sopranos John Travolta George Burns Winston Churchill Demi Moore Fuentes Pierce Brosnan Arnold Schwarzenegger Tom Selleck Robert De Niro JFK Jeff Bridges Chuck Norris Fidel Castro Damian Lewis Jack Nicholson The Sopranos Winston Churchill Fuentes Arnold Schwarzenegger Tom Selleck JFK Chuck Norris Jack Nicholson Winston Churchill Fuentes JFK Jack Nicholson Winston Churchill 1ST ROUND 10/9 - 11/5 1ST ROUND 10/9 - 11/5 2ND ROUND 11/6 - 11/12 2ND ROUND 11/6 - 11/12 SWEET 16 11/13 - 11/19 SWEET 16 11/13 - 11/19 ELITE 8 11/20 - 11/26 ELITE 8 11/20 - 11/26 FINAL 4 11/27 - 12/3 FINAL 4 11/27 - 12/3 CHAMPIONSHIP 12/4/17 - 12/10/17 Hover over a name to see that cover’s path to the championship. 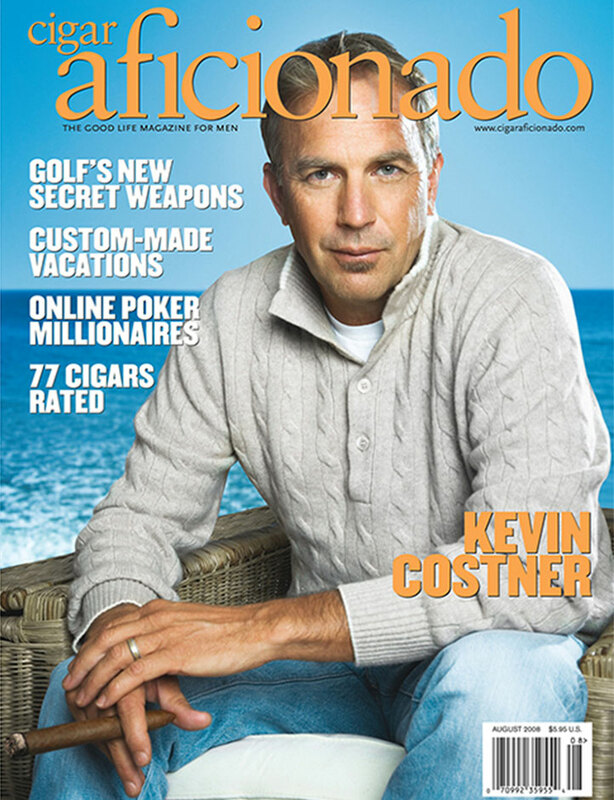 Scroll down past the bracket to see all of the magazines.